OKLAHOMA CITY – Jules Verne’s Journey to the Center of the Earth is a great book. Quick and charming, the third entry in Verne’s Extraordinary Voyages manages to convey an exciting story with scientific elements that, while being quite out-of-date, manage to provide a wonderful scholarly spice. The story is about eccentric savant (the word is always italicized in the text) Professor Lidenbrock and his pessimistic nephew Axel as they follow mysterious directions to what they hope to be the center of the Earth. Told with a clear enthusiasm for the material, it seems that in writing this Verne had a ton of fun. A classic, there is a healthy amount of words we don’t use or read everyday. Some readers will find that a turnoff, but I think that skipping this book because of the language would be like a basketball newbie passing up front row tickets to the NBA Finals. The point is, in both cases, even if one doesn’t know 100% what is going on, one is witnessing the best at their craft, and inevitably some good will come of the experience. Of course, it goes without saying that, if you are like me and love odd words, you’ll absolutely adore JTCE. Published in 1864, JTCE gives readers a fascinating glimpse into how people thought 150 years ago. Lidenbrock especially seems to espouse 19th century ideals. I loved reading his thoughts and approach to his work, research and profession. Historical and philosophical seekers will find much to love here. 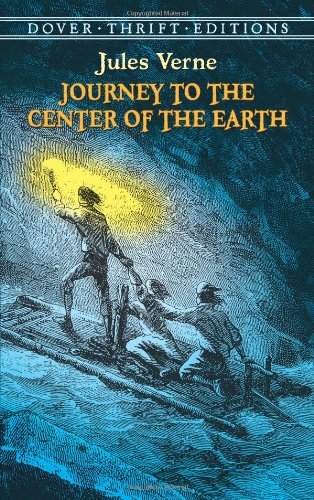 In the end, Journey to the Center of the Earth is a delightful book that is deservedly a classic. I recommend it to all readers, even those who don’t like hard words. Take my word for it – you’ll love it. If you don’t, I’ll refund you the full price of this column. Grant Stevens is a writer who is destined to be considered the greatest writer on this website. While not composing unadulterated masterpieces, he acts as the Nizam of the Use Ironic Correctly Society. He also does music stuff. You can hear some of his music here.